The film was released in Thailand on 3 May 2017 to critical acclaim, placing first at the Thai box office for two weeks and earning over 100 million baht, making it the highest-grossing Thai film of 2017 so far. 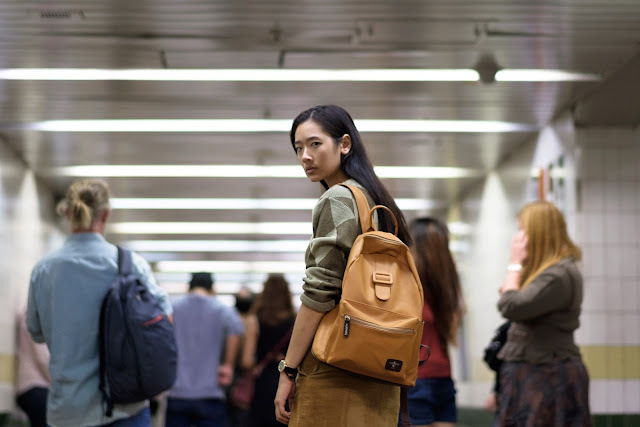 The film was selected to open the 16th New York Asian Film Festival, the first Southeast Asian film to do so, and lead actress Chutimon was awarded the Rising Star Asia award by the festival organizer. Lynn is a genius secondary school student living with her father, who is accepted in a prestigious school on an academic scholarship, after she impresses the director with her wit and intelligence during her interview. One of the first individuals she meets is Grace, a very likeable girl with very bad grades. Soon, Lynn starts helping Grace cheat, in order for her to be able to participate in a school play that demands certain scores for eligibility. Grace then introduces Lynn to her boyfriend, Pat, the spoiled son of a mogul. He offers her a lot of money to help him and his friends cheat, and although reluctant in the beginning, Lynn eventually agrees, since her family is poor, but particularly when she learns that the school took payments of “tea money” from her father, who earns a modest income as a teacher. He even manages to develop a hand signal based on classical music to allow everyone to cheat. The group has some success, but soon Bank, the second student on an academic scholarship, reveals their plot, and Lynn is reprimanded, has her scholarship suspended, is ruled out of an international scholarship, and truly disappoints her father. However, the couple does not Lynn go, and ask her to help them pass STIC, an international standardized test for university admissions, and promise an even more vast amount of cash. Lynn agrees and comes up with a more than intricate plan to do so. Her plan, though, has an unavoidable catch: they must recruit Bank to their purpose. 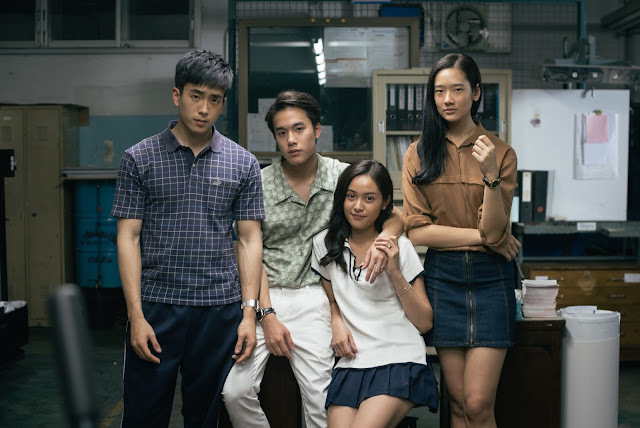 Nattawut Poonpiriya, along Tanida Hantaweewatana and Vasudhorn Piyaromna wrote a film that manages to elevate academic cheating into a heist of international level, through an extremely intricate and intelligent script. In that fashion, they manage to transform a coming-of-age film into an agonizing but also meaningful thriller, with the second element deriving from the many social comments incorporated in the script. These remarks focus on the corruption of the Thai academic system, the huge differences between the rich and the poor in the country, the borders of friendship, and the impact money and success can have on people. At the same time, there is a permeating, though underlined, pessimistic tone in the film, as we watch Lynn using her genius only to make money, jeopardizing at the same time, her academic career, and her relationship with her father. The only flaw in the script, although minor, is the concept of the security during the STIC, with the man in charge being excessive in the way he acts and its overall role. Nattawut Poonpiriya’s direction has styled the film in the fashion of a music video, with the pace being extremely fast, Chonalsit Upanigkit’s editing pleasantly dizzying, and the music almost constant. Through this tactic, Poonpiriya succeeds in retaining the agony throughout the movie, and at the same time to present a very entertaining film, that highlights both its story and its comments with gusto and artfulness. This sense benefits the most by Phaklao Jiraungkoonkun’s cinematography, who presents a vivid combination of retro and contemporary visuals, which, occasionally, reminded me of the style of Japanese anime adaptations. Of equal excellence is Patchara Lertkai’s production design, who has come up some impressive sets, while the almost constantly changing costumes of Lynn highlight her beauty and elegance. The acting on the film is on a very high level, despite the relative inexperience of the four protagonists. Chutimon Chuengcharoensukying, who plays Lynn, is actually a fashion model making her acting debut, although one would never know by watching her play a genius girl who loses herself in front of an opportunity to become rich. Chanon Santinatornkul as Bank is also great, as he exemplifies his character’s contradictory nature and a radical transformation that occurs gradually, but to the fullest. Teeradon Supapunpinyo plays the archetype of the spoiled rich kid Pat to perfection, while perfect-faced Eisaya Hosuwan is equally great as Grace, a girl who loves but also exploits her friends. Thaneth Warakulnukroh, the only veteran among the main actors, plays the role of Lynn’s father with great dignity, while the scene where he confronts his daughter is one of the most powerful in the film. “Bad Genius” is a great film, an impressive combination of elaborate visuals, entertainment, and meaningfulness, by a director who seems to have reached very high standards in his work, in this second film of his.